Three TD Bank Group employees are speaking out about what they say is "incredible pressure" to squeeze profits from customers by signing them up for products and services they don't need. The longtime employees say their jobs have become similar to that of the stereotypical used car salesman, as they're pushed to upsell customers to reach rising sales revenue targets. They say there has always been a sales component to the job, but the demand to meet "unrealistic" quarterly goals has intensified in recent years as profits from low interest rates have dropped and banks became required — after the financial meltdown of 2008 — to keep more capital on hand to protect against a downturn in the market. "I'm in survival mode now," says a teller who has worked at TD for more than 15 years, "because it's a choice between keeping my job and feeding my family … or doing what's right for the customer." "When I come into work, I have to put my ethics aside and not do what's right for the customer," says the teller. Documents provided to Go Public show the teller's sales revenue goals have more than tripled in the past three years. "You don't know what it's like to go to bed at night knowing your job is now to set people up for financial failure," says the teller, her voice cracking. "I was made to feel as if I was committing a huge wrong for looking out for the best interests of my customer over the interests of the bank," says Dalisha Dyal, who worked as a TD teller in Vancouver for four years. The three bank employees who initially contacted Go Public explained how tellers upsell customers: when a customer keys in a PIN at the teller counter, a gold star lights up on the teller's computer screen, indicating that "Advice Opportunities Exist." When a teller clicks on the star, products and services the customer hasn't purchased pop up, such as overdraft protection, credit card or line of credit. Each time a teller gets a customer to sign up for one of those options, it counts toward meeting their sales targets. "Customers are prey to me," says the teller. "I will do anything I can to make my [sales] goal." "Our expectations are that our employees should never sell a customer a product that doesn't fill a need," spokesperson Daria Hill wrote. Hill said having "metrics" and "goals" is a good business strategy, but that "we will only achieve our goals by doing the right thing for our customers." 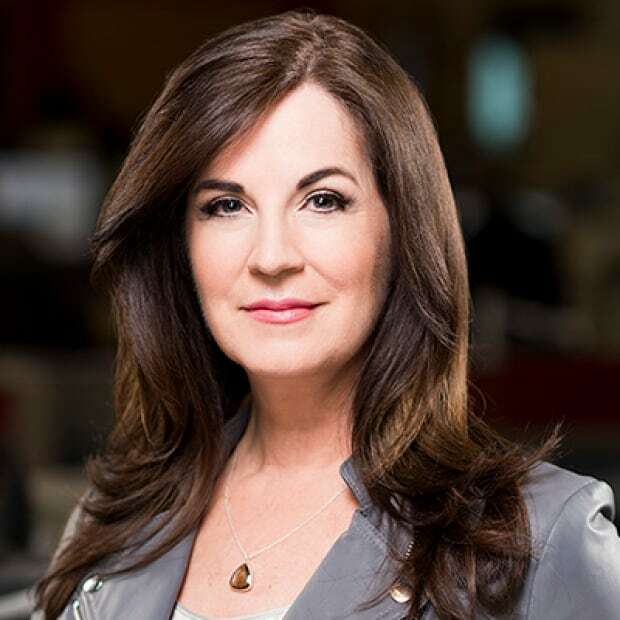 Hill says customers have said they want TD employees "to know them, understand their needs, give them proactive advice and ask them about how we can best meet their financial needs." The employees' allegations come amid reports last week of record profits for Canadian banks. TD Bank Group reported fiscal first quarter earnings of $2.5 billion — up 14 per cent from a year ago. 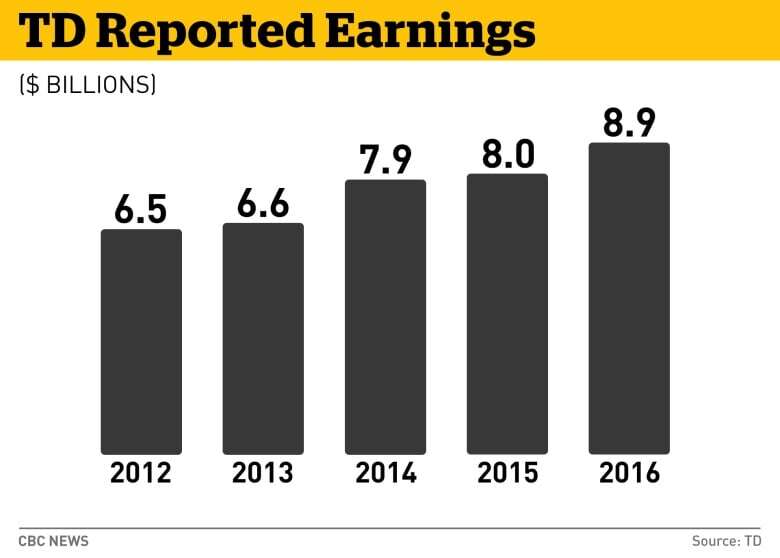 Revenue rose six per cent to $9.1 billion — making it the largest bank in Canada, based on assets, surpassing RBC. ANALYSIS|​ Can Canadian banks keep squeezing out more profits? 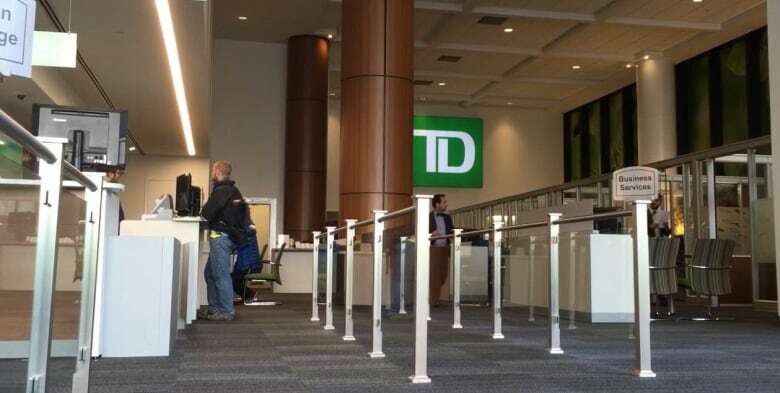 The TD employees say elderly customers are a common target because they've grown to trust their tellers over the years. "There are elderly customers who have fought for us — they have an army pension," says the teller. "And here I am, setting them up with all these service fees and they don't have a clue what's going on." Both the managers sometimes work the front counter and say there's a big push by their branch manager to sign up people for overdraft protection, so sometimes clients with large balances get it, too. "Customers pay enough in service charges," says one manager. "They shouldn't have to worry ... 'What has my teller added to my profile today?'" "The higher-ups are also putting more pressure on us to get tellers to achieve these goals," says the other manager. "And if they don't … our job is to make sure that they understand that they're no longer right for this job." "I feel bad for what they're making me do," she says. When the managers expressed concerns to their branch manager and district vice-president, they say they were asked to consider whether they were still "a good fit" for the job. Documents obtained by Go Public show tellers who fail to reach their sales goals are called "underperformers" and placed on a "Performance Improvement Plan," which involves daily coaching and monitoring by managers. If sales performance doesn't improve, employees are warned "employment could be terminated." In the statement from TD, Hill says "Performance Improvement Plans are intended to support our leaders and people managers in helping employees improve their overall job performance and are intended to help employees be successful in their role." Pushing products on customers to maximize shareholder profits may produce short-term gains, but it's not in a bank's long-term interest, says Laurence Booth, a professor of finance at the University of Toronto's Rotman School of Management. 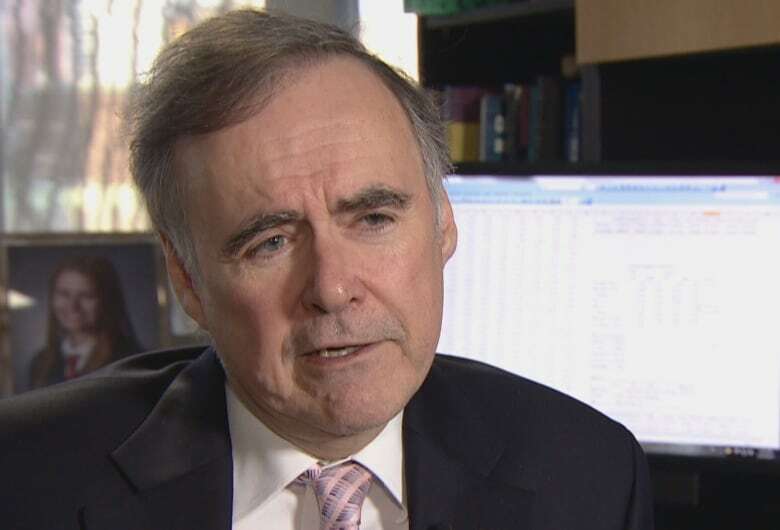 "If their [TD's] employees start looking at everybody that comes into the bank as … somebody to try to make as much money off as possible, then the result is they're going to be squeezing short-run profits," he says. "But sooner or later, these things come back to bite you." Booth says all banks want to be known as "trustworthy," but that trust can erode quickly if a bank gets a poor reputation. One teller offered to "activate" overdraft protection — not mentioning that there would be a fee. She also suggested opening an account with monthly service fees of $29.95, when a "basic chequing account" — with fees of $3.95 — was requested. Another TD teller put a Go Public tester in an account with fees of $14.95 — never mentioning the $3.95 account that would have met her stated needs. He also tried to sell a TD Aeroplan credit card, with annual fees of $120, and suggested the tester open two other accounts. Tellers at three TD branches didn't try to upsell the testers. One manager pointed out that tellers are no longer called "customer service reps" — an example, she says, of how far TD has shifted the focus from its customers. "We're now called front-line advisers," says the teller. "That would be funny, if it wasn't so sad." 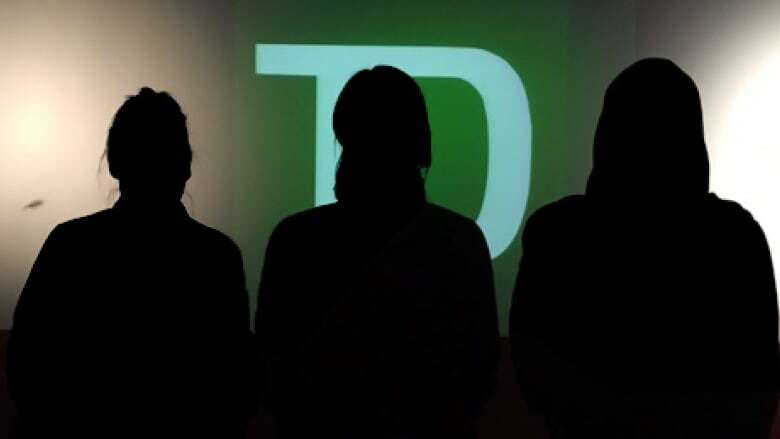 All three TD employees say they've considered looking for work elsewhere, but what they want most is for their employer to listen to their concerns — for the sake of its employees, and its customers.